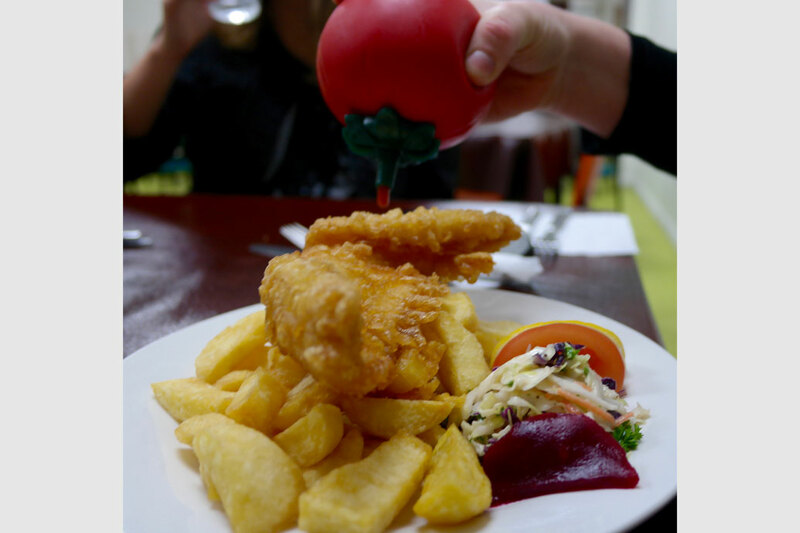 Going out for dinner tonight for good old kiwi fish and chips? Try some of the best in town if not the country! Walking into Best Cafe is like being thrown back into the 1950s; so much character and history. As we took our seats we were welcomed by the warm, bubbly Jess (owner). Jess is humble, polite and extremely inviting. She explained the menu then brought out complementary breads and corn butter with old-school tomato and black sauce; all part of the dining experience that hasn't changed since Best Cafe originally opened. I couldn't look past the blue cod and a Speights, so that's what I treated myself to. But looking across at the meals my friends were eating I spied steak, fish sandwiches, and just about every fish you could think of. Super fresh and just what we needed as a Sunday dinner treat. 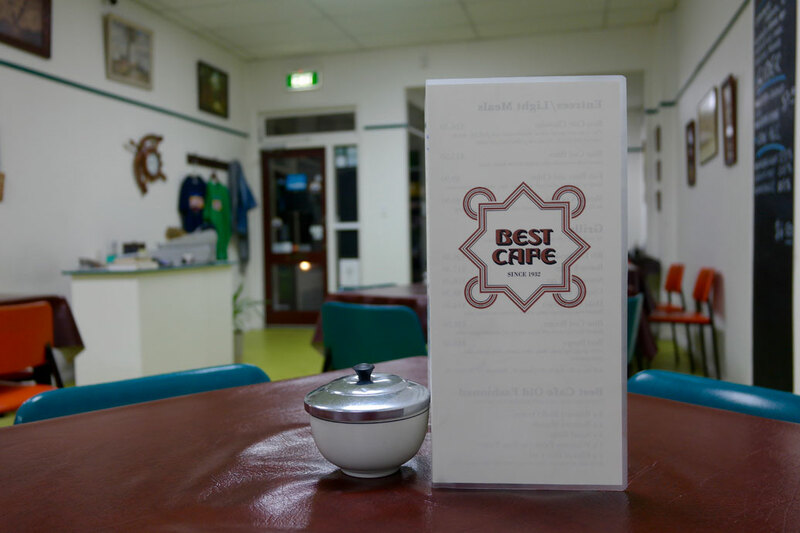 The famous Best Cafe is still as great as ever. Under new ownership with Jess and her partner Brent I'm sure the future is looking bright. Jess, a trained chef, is eager to bring back as many of the traditional methods of cooking and serving as possible but with her own flair. I was really impressed and her attitude was infectious. It was amazing to hear her story and find out that she had journeyed back after years of travel to protect and take on the cafe as her next project. Her love of Dunedin and love of providing a top class, unique and humble experience highlights every great characteristic of our little city. Go pay Jess a visit. After meeting her once you'll feel part of the whanau. Thanks Jess and thanks Best Cafe. Loving your work. “Originally from Ireland, my great-grandfather Patrick and his wife Delia bought the Best Café in the mid 1930s, after moving to Dunedin from Invercargill,” explains Jess, who has recently become the Best Cafe’s new owner, bringing it back into the family fold. Patrick, Delia and all of their five children worked in the café until the late 1950s when it was passed down to son Kevin. Although Patrick was “retired” he still spent a lot of time at the café. Kevin’s son Tony also worked in the business making it very much a family affair. Up until early this year Jess was living with partner Brent, a builder, on a beautiful canal boat in London and working as a private chef for a family based in Europe. “We absolutely loved London and had planned to stay put for a couple more years but we knew ultimately that one day we wanted to return home to NZ. One day I (very randomly) googled and discovered the Best Café was for sale. I was instantly excited by the prospect of buying back the old family business. One thing led to another and after a month or so of negotiations I became the proud new owner of the Best Cafe. Brent was very supportive and we decided to do it together, so we packed up our bags and moved home to Dunedin. It has been all go since day one. Bluff Oyster season kicked in before we knew it and all of a sudden we were at full speed. Although the restaurant is small, it gets very busy!